Since the Netflix series came out, a lot of our teens have been talking about 13 Reasons Why. I created a bookmark and accompanying display of read-alikes. It’s only been up a few days and I’ve already had to restock it! If you’d like to use this bookmark at your library, click here to download the pdf file. People assume that as a teen services librarian, that I enjoy reading young adult fiction. While I read plenty YA titles to stay current for my job, my passion is true crime. Every person who has met me knows that I’m a true crime addict. It’s very rare that I get to work that passion into my job, but this month the reference department was kind enough to let me create a bookmark on the topic. It’s a mix of some of my favorites and a few well-reviewed titles that are on my radar to be read. You’re welcome to use this bookmark for your own library. Click here to download the PDF. Also, if you’re going to CrimeCon this June – look me up! Willowdean “Will” Dickson is the self-described “fat” daughter of an aging Texan beauty queen. She is intelligent, funny, and confident. When her relationship with her best friend becomes strained and a secret romance with her drool-worthy coworker goes south, Will’s once solid confidence is shaken to the core. She decides the solution to her problem is to enter the local beauty pageant (run by her critical mother). This single act inspires a trio of misfits to also join and they set off to prove that society’s beauty standards aren’t everything they’re cracked up to be. It’s not very often that I fall in love with a book from the very first sentence, but Dumplin’ charmed me from the get-go. This book has it all: Dolly Parton, female friendships, body positivity, and drag queens (!). Julie Murphy has penned an important novel that every teen girl should read. 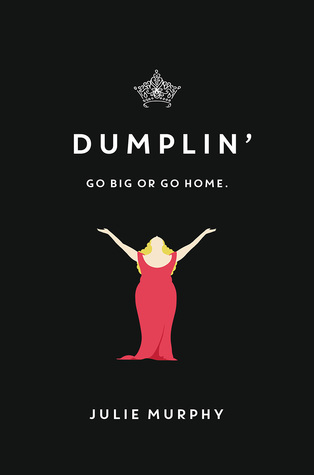 Dumplin’ is fun, has tons of heart, and drives home a good message without being didactic. I recommend this title to all YA fans. This summer marks a very important date: the 20th anniversary of the ultimate teen comedy, Clueless. I’m totally buggin’! As a tween in the mid-90s, Clueless had a huge impact on me. It affected everything from my vocabulary to my ensemble choices and ignited my first celebrity crush, the delightful Baldwin known as Paul Rudd. I still Netflix Clueless and not just sporadically. Needless to say, I was way excited to read As If! An Oral History of Clueless by acclaimed pop author Jen Cheney. Cheney sat down with the cast and crew of Clueless to discuss their memories surrounding the creation of the iconic film and the results are a fun trip into nostalgia-land. If you’re hoping to get some juicy gossip about 90s stars, you might want to pick up Melissa Joan Hart’s biography instead. The most salacious tidbit in As If! is Coolio’s proclamation that he got “white-boy wasted” at the premiere. That’s not to say As If! doesn’t contain any shocking revelations or drama; especially when casting comes into the conversation. Can you imagine Angelina Jolie as Cher or Ben Affleck as Josh? Ugh, as if! There’s also the story of how Clueless almost wasn’t even made, which would have been tragic. I don’t want to live in a world where Clueless doesn’t exist. Cheney is definitely not capricious when it comes to documenting the history of Clueless. Jane Austen’s influence on the script; how Cher’s amazing closet software was created; the decisions behind the platinum soundtrack – nothing is left out. Cheney examines the lasting cultural impact of Clueless and its enduring popularity (evidence: Iggy Azalea’s music video for “Fancy”). A heartfelt memorial chapter dedicated to Brittany Murphy adds an emotional element to the otherwise airy tone of the book. As If! was a breezy, light read that would be a perfect poolside pick for summer. I highly recommend this title for fans of Clueless or fans of director Amy Heckerling in general (the book gets pretty in-depth about her process). Warning: you will likely bust out your old mini-backpack and pleated, plaid skirt upon finishing this book. Originally posted on OverDrive BookBytes. I am a self-professed true crime junkie. I drop everything when my TV is tuned to Investigation Discovery. Ann Rule and Harold Schechter are my superheroes. I am also a bit of a history geek; my undergrad degree is in the subject. 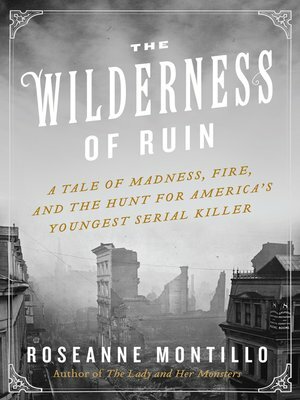 When history and true crime intertwine in a single book, it is nerd heaven for this gal; and that’s the case with The Wilderness of Ruin by Roseanne Montillo. The Wilderness of Ruin is a fascinating examination of the crimes and trial of Jesse Pomeroy, America’s youngest serial killer and the original bad seed. Pomeroy’s atrocious spree of violence took place in late 19th century Boston, a vulnerable town struggling to recover from a devastating fire. In 1872, at the tender age of twelve, Pomeroy abducted younger children for the purpose of torture. These acts of defilement resulted in a sixteen-month stint at the Lyman School for Boys. In 1874, mere months after his release, Jesse mutilated and murdered two children. Given his track record, it did not take Boston police long to pinpoint Pomeroy the culprit. The resulting trial sparked a national debate about mental health and capital punishment. With sparkling prose and perspicuous description, Montillo has created a supremely readable piece of nonfiction. Montillo maintains the lurid elements of a typical true crime novel while expertly capturing the essence of Gilded Age America. She offers an in-depth view of the tumultuous era by punctuating Jesse Pomeroy’s tale with accounts from the likes of Boston fire chief, John Darnell; Herman Melville; and Oliver Wendell Holmes. The gruesomely detailed depictions of Pomeroy’s horrific activities are evidence of Montillo’s masterful research. The Wilderness of Ruin will keep you engaged page after grisly page. It is a standout among historical true crime novels. I believe it should be required reading for all who loved Erik Larson’s The Devil in the White City. Cody is heart-broken and stunned when her best friend Meg downs a bottle of industrial-strength cleaner. Sure they had grown apart since Meg left their small town to attend college, but wouldn’t she know if her best friend was depressed? When Meg’s family asks Cody to retrieve her belongings, she uses the trip as an opportunity to find closure but only ends up with more questions. What was Meg hiding in an encrypted file on her laptop? What secrets are Meg’s roommates keeping? And what role did mysterious and handsome Ben, the guy Meg had a short-lived fling with, play in her suicide? Cody is determined to find the answers to these questions and solve the mystery surrounding Meg’s death. Gayle Forman has a knack for writing authentic characters and I Was Here highlights that ability even more than her past novels. Cody rang especially true to me as a grieving friend. She wasn’t perfect: she was moody, lashed out at those around her, and was consumed by guilt. These are trademark characteristics of a person who has suffered a devastating loss. I found myself becoming more and more absorbed in Cody’s emotions as the story moved along. I became so absorbed that I started ugly crying on my living room floor and scared my dog. 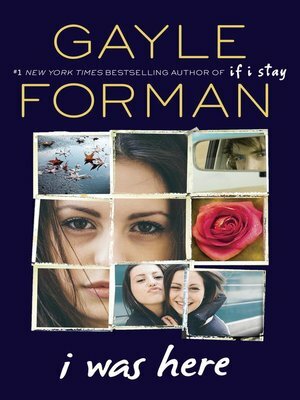 Forman also delves into Cody’s home life and her budding relationship with Ben (it wouldn’t be a Gayle Forman novel without a little amore). Many people will relate to Cody’s strained relationship with her mother and her feelings of being trapped in a small-town. So much of this novel was beautiful and real, especially the aspects about family and friendship; however, the romance between Cody and Ben came off as cliché at times. If you’re looking for a love story, try If I Stay instead. 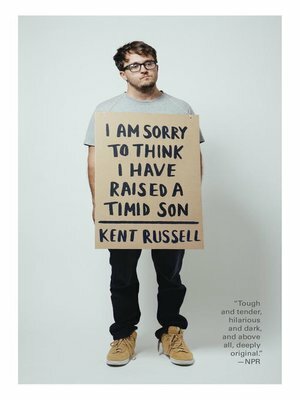 Overall, I Was Here is a powerful and honest exploration of grief and self-discovery. It is definitely a worthwhile read, just make sure to keep a box of tissues handy. I Was Here is perfect for fans of John Green and Maureen Johnson. Originally published on OverDrive BookBytes.